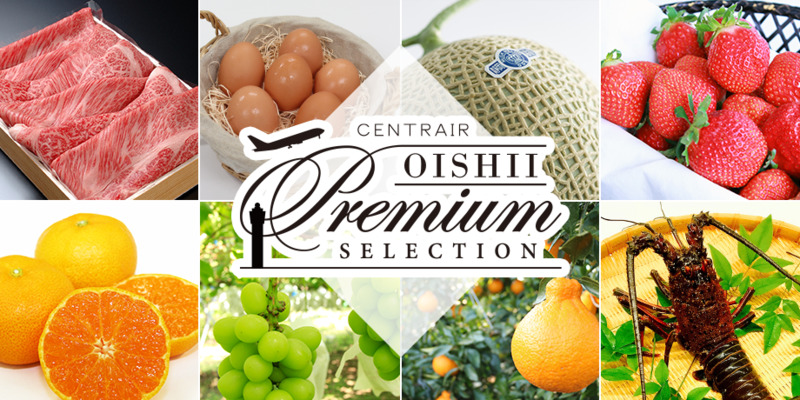 ◆What is Centrair OISHII Premium Selection? 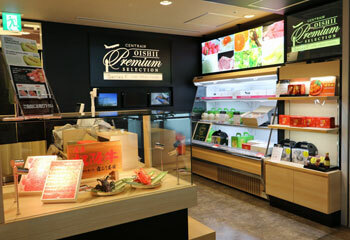 Centrair OISHII Premium Selection is a Centrair original brand created to introduce Japan's most excellent food produts to international travelers. 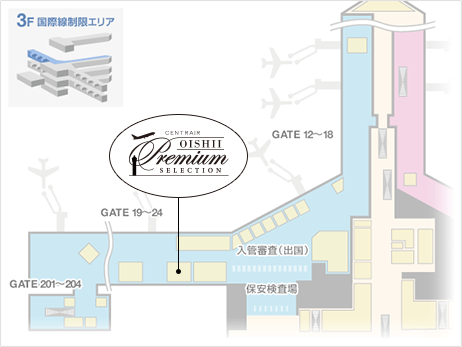 The brand name combines the Japanese word "oishii", meaning "delicious", that has become internationally known in recent years due to the Japanese cuisine boom, with the phrase "premium selection," which means that we select only the best products. * Some products might not be allowed for import depending the country of destination. Some products are available for customers to see and select before buying. Our staff will provide information concerning eligible countries for food imports so that our customers can make their purchases with peace of mind. * Only passengers departing from Centrair to countries allowing the import of the product are elegible. * Available goods and prices are subject to change due to season and stock status. * Prices listed here are updated frequently, however they might have changed. For more information, please ask at the store counter. 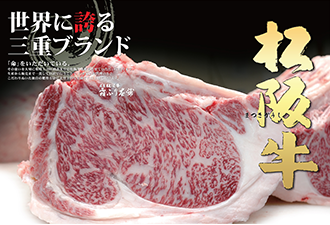 One of the most prominent brands of Japanese Wagyu Beef - "Matsusaka Beef" from Mie Prefecture. 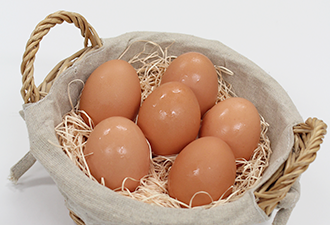 Exclusively produced in selected farms in Aichi, these eggs are laid by chickens who have been fed a special, nutrient dense diet and have a rich flavor. Raised in prosperous and nutrient dense waters, the characteristic sweetness of the meat grows as you chew. 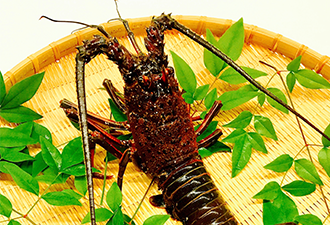 These are high-quality spiny lobsters. Japanese spicy Pollack roe from “CHIKAE” restaurant in HAKATA are made with carefully selected ingredients and special recipe, like other products served by their main restaurant in Hakata. 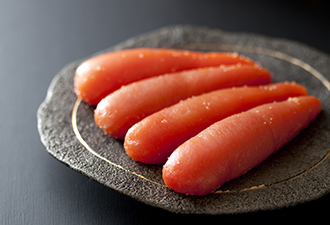 The following 4 ingredients - "cod roe", "sake (Japanese rice wine)","dried bonito" and "red pepper" - are particularly important to make the product the best of its kind. Scallops are available in all parts of Hokkaido and are popular souvenirs among tourists. 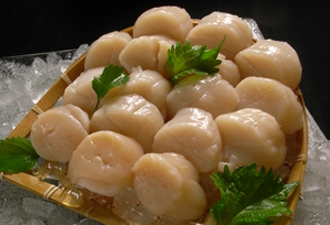 Scallops are the shellfish that have extremely rich flavor and unique sweet taste, which has been highly appreciated by Chinese people since ancient times. Kegani is one of the most popular crabs in Hokkaido. They are found in the shallow seabed, 150 meters from the water surface, in the Sea of Okhotsk and the Pacific Ocean. 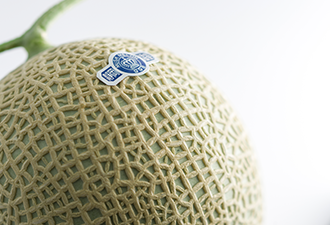 This melon has been "crowned" with the highest honors among muskmelon varieties, which are known as the kings of fruit. Each and every fruit is carefully cultivated with the know-how that comes from many years of traditional cultivation techniques. 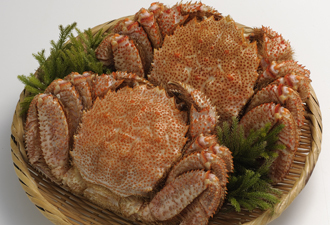 The tastiest winter dish, the Echizen Crab, has arrived to Fukui Prefecture. 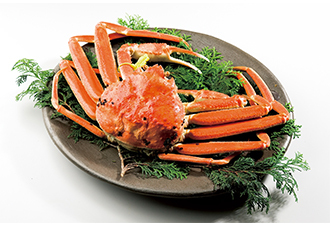 The male crab, ‘Zuwai’ in Japanese, is characterized by its long legs which contain slightly sweet meat inside, while the shell contains plenty of tasty and rich in flavor meat. The female crab, ‘Seiko’ in Japanese, is characterized by the bubbly texture given by the eggs inside it. These eggs are called ‘red diamonds’ in Japan due to its vivid vermillion color. It's exquisite flavor that melts in the mouth makes them very popular among gourmets. ※In addition to the above, female snow crabs can also be exported to TAIWAN. 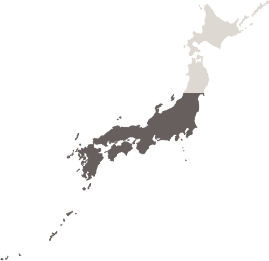 The Nagano prefecture Ueda area combines "rich water source", "fertile ground", "the best weather of Japan" and "big temperature differences". This combination is said to create an exquisite apple with great sweetness and sourness balance, rich aroma, good juiciness and pleasant texture. 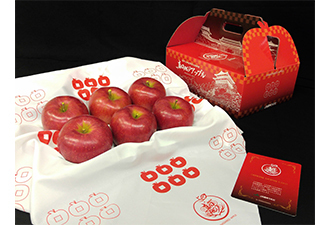 These amazing apples have a unique management system in which each apple is carefully selected by skillful farmers. 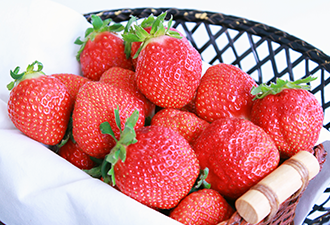 Since 2012, “MIGAKI-ICHIGO” has been a strawberry product brand based in Yamamoto Town, Miyagi Prefecture. A combination of artisanal skill and IT engineering allows us to cultivate consistently high-quality strawberries. The strawberries that make it through a stringent grading process are delivered in a package embossed with our diamond logo. Strawberries picked at the peak of ripeness for perfect flavor. 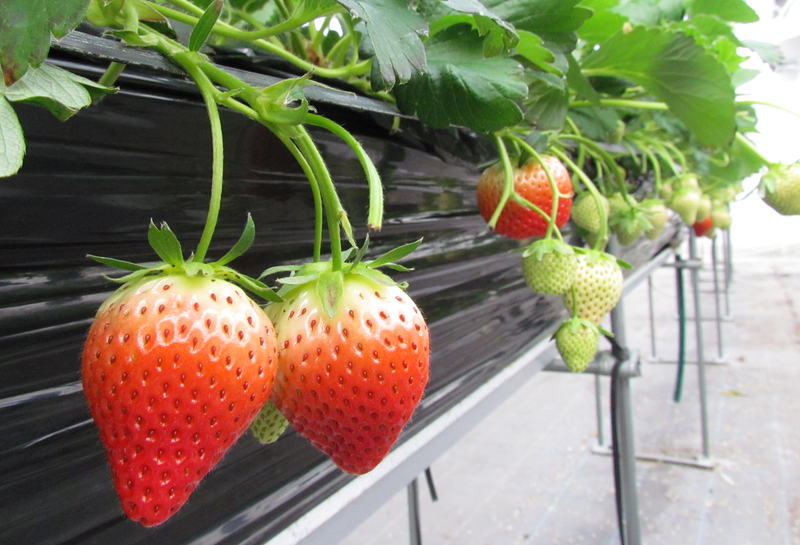 Strawberries newly developed in Gifu since 2016. Known for the large-size, extremely juicy flesh. 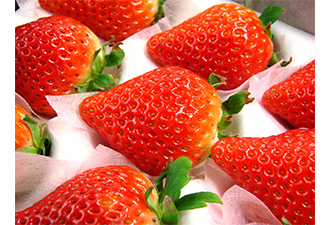 Large strawberries grown in Gamagori City, Aichi, with two brand types "Akihime" and "Yumenoka". 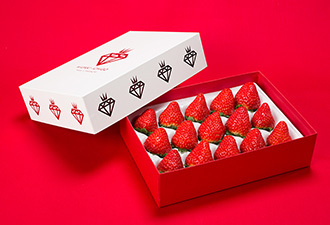 Red Pearl strawberries are often referred to as “red jewelry from Shima”. They are large in size, rich in flavor and have perfect balance of sweet-sour taste. Only customers who are flying directly to a country which allows the import of food products, or those who are flying through another country but do not plan to disembark until their final destination country, may use this service. In the case of a connecting flight in another country, the passenger may not enter in that country, or, if they do, must not open the seal on the product while there. Please follow all local rules concerning the carrying of items in your connecting country. Maximum purchasable items: The purchase quantity must be within the guidelines set by the airline with which the passenger is flying. Please use the contact information below to inquire about reserving items.